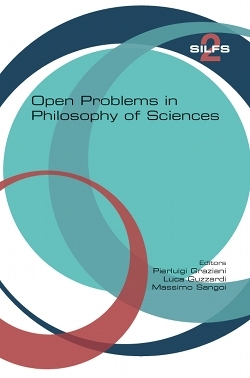 The present volume presents philosophy of science at its best, that is a philosophy of science that is done in close contact with current scientifi c research and carefully assesses and evaluates its commitments and consequences. As such it represents philosophy simpliciter at its best, for it is concerned with and dares to ask fundamental questions about the nature of things that stem from natural sciences, arguably our most reliable sources of knowledge of the world. The contributions make vividly clear that a philosophy that is totally disconnected from science is sterile and that the practice of science that is totally disconnected from a philosophical attempt to understand the natural world in its most general features is blind. Throughout the book we are confronted with questions about the nature of species, numbers, space, time, matter, consciousness and so on. Taking seriously these questions, along with other open problems in the philosophy of science, and keeping the dialogue between science and philosophy wide open, is likely to be our best bet for a deeper understanding of what surrounds us. The book has a further, deeply important merit. Being the result of a post-graduate conference, it brings together not only leading, long established experts in the field but also new, young researchers, that usually find too small a place within the academic environment. Promoting exactly this kind of interaction is an essential step in constructing a new paradigm for an open, collaborative and fruitful scientific community.